Amelia Weesner has enjoyed all perspectives of the “Suzuki Triangle:” student, teacher, and parent! She grew up in a strong Suzuki studio in the 1980’s. After her Suzuki rearing, she studied with some of the finest violin teachers in the country, including Nicholas Mann (Juilliard and Manhattan School of Music), Robert Mann (Juilliard String Quartet), Mitchell Stern (Manhattan School of Music and American String Quartet), and Elaine Richey (Galamian’s assistant at the Curtis Institute and Naumburg winner). She was accepted into University of North Carolina School of the Arts as a young high school student, and went on to also earn her Bachelor of Music (Violin Performance) and Masters in Music (Violin Performance) from UNCSA. While pursuing her Master’s degree she was awarded a graduate music theory assistantship, and she won the UNCSA Concerto Competition. Mrs. Weesner traveled the country, from Orlando to Brooklyn to Alabama, and finally decided to stay in her birth state of North Carolina, marry her amazing husband Joshua, and start a family. Amelia is currently a member of the Greensboro Symphony Orchestra. She has also been a member of the Bach Festival Orchestra, the Huntsville Symphony Orchestra, and the Winston-Salem Symphony. Mrs. Weesner has 20 years of teaching experience and Suzuki pedagogy training under Libby Armour, who for two years studied daily with Dr. Suzuki at the Talent Education Conservatory in Japan. 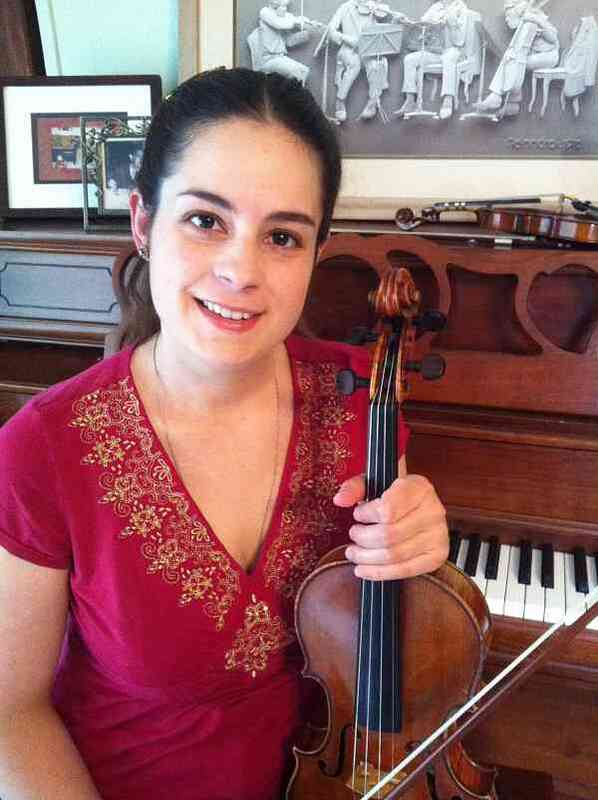 Together with her husband Joshua, Mrs. Weesner manages a thriving Suzuki violin studio in Kernersville, NC. In addition to managing the studio, teaching her wonderful students, and performing locally, Mrs. Weesner is honored to have the most important career ever, which is mother to her four beautiful children.